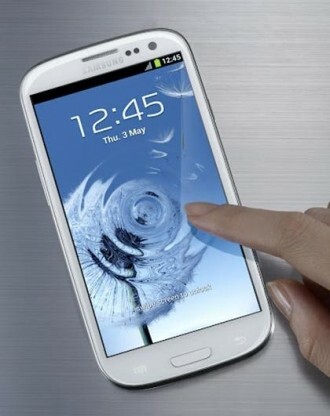 The impending UK release of Samsung's new flagship Galaxy S3 smartphone suffered a slight setback after a factory error resulted in the binning of over 600,000 of the 'pebble blue' rear battery covers due to a problem with manufacturing. Sources say the error has now been fixed, and production will be ramped up urgently to fix the shortfall which has resulted in almost no worldwide availability of the handset. The issue was made apparent last week after the GS3 launched in Dubai without a single Pebble Blue handset in stock anywhere, despite promises both colors would be offered at launch. This naturally sparked some interest, after which Samsung came clean about the manufacturing mistake. The production hiccup is also likely to affect availability in the UK of pebble blue versions after the initial stocks run out, although the white version remains unaffected by the blunder and will be available in large numbers. It couldn't have been worse timing either, with the phone due to go on sale tomorrow in the UK, and already piped to become an overnight best seller, especially with the recent news that Samsung hit a record nine million pre-orders for the Galaxy S2's replacement. Given such massive interest, it sounds like the factories of the world's largest phone maker will need every one of the five million units per month capacity just to keep up with demand. Worldwide availability is expected to be scarce for at least a couple of weeks, with some carriers not expecting to get any stock of the Pebble Blue models until the middle of June at the earliest.